Contact Amy Dew with your date of interest and approximate group size for further booking details. Looking to plan a memorable day for your students? Look no further! 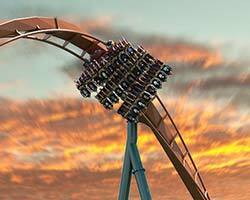 Canada’s Wonderland offers great discounts for planning an outing to the Park for Groups of 15 or more. Add an all-you-can-eat meal, all-you-can-drink wristbands, restaurant vouchers and more! 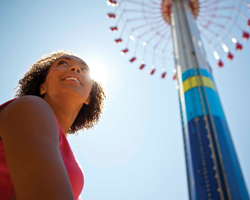 Pick a specific day for your group outing, and we'll get you a discount on admission. Once you have your tickets, you can go straight to the front gate without waiting in line to buy tickets. Flexible Day Tickets allow students to visit the park any day they choose - typically sold from a student centre or union office. Offer Pay Once Visit Twice Tickets, Fall Good Any Day Admission Tickets, Halloween Haunt Tickets & Junior/Senior Tickets on consignment. There is no upfront cost to you. With our Corporate Affiliate program, amazing discounts on admission to Canada's Wonderland are always ready when you are! Add a mark up of up to $3 to your tickets to generate revenue for a school event or manage administration costs. Wonderland will even match your school’s subsidy to a maximum of $1.00 when you place your ticket order! Add a meal onto your group outing! 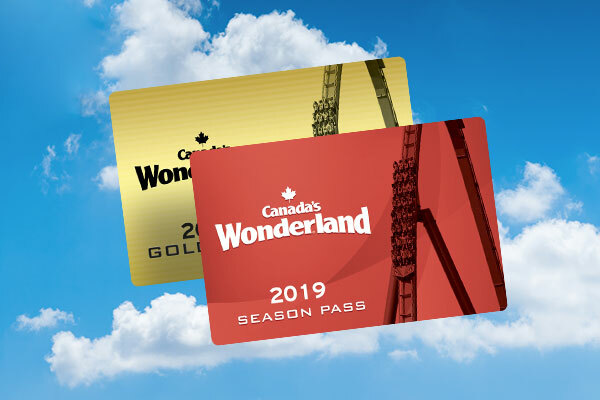 Canada’s Wonderland offers Admission & All You Can Eat meal combos, all you can drink wristbands, restaurant vouchers and more! Make sure your entire group stays fueled for the fun all day long!